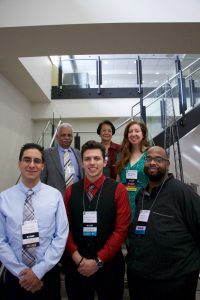 The LSAMP program at IU Northwest is designed to increase the recruitment, retention and graduation rates of underrepresented minority (URM) students in the STEM fields. The URM student community will benefit from the IN LSAMP program activities including, summer bridge program, tutoring, peer mentoring, orientation, conference participation and faculty mentored research. These activities will assist students in developing the skills and learning strategies that will support their success as they navigate college. Students who are selected as IN LSAMP scholars will receive stipends for their active participation as peer mentors or research scholars. Together, we will strengthen and diversify our STEM workforce!